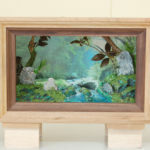 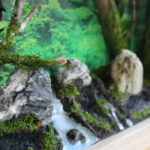 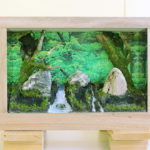 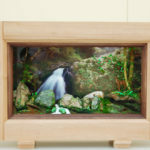 The purpose of the Forest Frames, crafted by Soichi Yano, is to convey the greatness of natural forests and gorges by using real wood, stones, and moss. 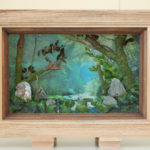 Combined with the photographs of the magnificent Mother Nature, they bring viewers the experience of being in the forest. 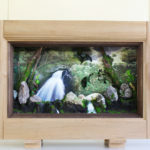 Because the creator uses natural materials to make the Forest Frames, each frame is unique and one of a kind. 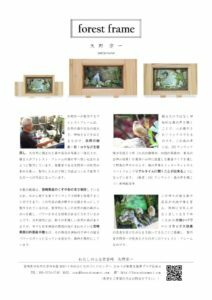 The Forest Frame brings peacefulness and relaxation not only visually, but also through the sounds of the mystical forest, promoting the healing of the soul and mind relaxation via the internet and smartphones. 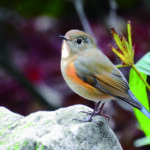 JVC Kenwood has made this possible by installing microphones in the deep mountains at five locations, including Morotsuka village in Kyushu, Umazi village in Shikoku and Shirakamisanchi in the Tohoku region They provide the sounds of forests such as chirping of wild birds and a whisper of wind in real time to provide a full sensory experience. 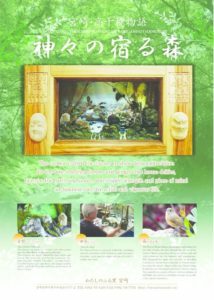 The creator crafted the frames to show deep appreciation for the awe-inspiring forests and gorges that house deities, nurture the earth and ocean, and inspire strength and piece of mind so Japanese can live a full and vigorous life.